David du Plessis as told to Bob Slosser. 247pp. Logos International, Plainfield , New Jersey, USA. 1977. 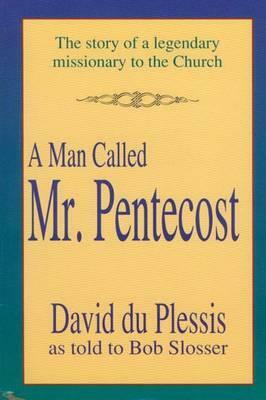 The classic memoir by David du Plessis of the prophecy given to him in his Johannesburg office by Smith Wigglesworth in 1936 and the way in which God used him in its fulfilment amongst the established churches. A recording also is available by David du Plessis - see Audio Tapes & CDs. Peter Lavin. 92pp. 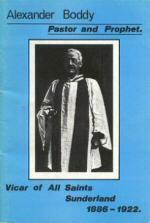 Published by Wearside Historic Churches Group for All Saints’ PCC, Monkwearmouth, Sunderland. 1986. Alexander Boddy was a good and loyal friend of Smith Wigglesworth. Indeed it was through the prayers of Mrs Mary Boddy in the vicarage library that Smith received the baptism of the Holy Spirit. This book was produced to commemorate the centenary of the beginning of Boddy’s ministry in Sunderland in 1886. Boddy holds a special place in British Pentecostal history and the story of the outpouring of the Holy Spirit at All Saints, Sunderland, merits special attention. One chapter of the book is devoted to Wigglesworth and his worldwide ministry which evolved from the Sunderland revival. Michael Harper. 128pp. The Fountain Trust, Hodder and Stoughton, London, UK. 1965. 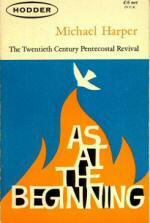 An account of the origins and development of the Pentecostal Movement. 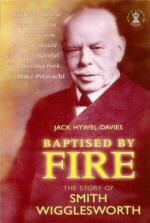 Three chapters describe the 1907 Sunderland revival, the ministry of Smith Wigglesworth that developed from this and the prophecy given through him to David du Plessis concerning revival in the churches. Michael Harper, a UK clergyman was a pioneer in the UK charismatic movement and has had a significant role in renewal since the early 1960s. Jack Hywel-Davies. 171pp. Hodder and Stoughton, London, UK, 1987. Also published in the USA as ‘The Life of Smith Wigglesworth’ by Servant Publications, Ann Arbor, Michigan, USA. 1987. Republished in 2001 with a new foreword and cover design. A study of Smith Wigglesworth, first published nearly forty years after the Frodsham biography, which includes the results of some more recent research. Sources of information include Wigglesworth’s grandson, Rev Leslie Wigglesworth, Stanley Frodsham’s daughter Faith Campbell, Wayne Warner and the US Assemblies of God archives. Jack Hywel-Davies, an Elim minister, writer and broadcaster, also includes a personal account of a Wigglesworth healing meeting at Sion College, London.